NutriDiet® Betta contains only the highest quality ingredients (Chlorella algae & fish meal) without low nutritional value fillers (e.g. corn meal). It contains a broad spectrum of all the important components needed in a Betta’s diet: protein, fat, carbohydrates, vitamins and minerals. NutriDiet® Betta is different from other foods on the market because of its high nutritional value and palatability. 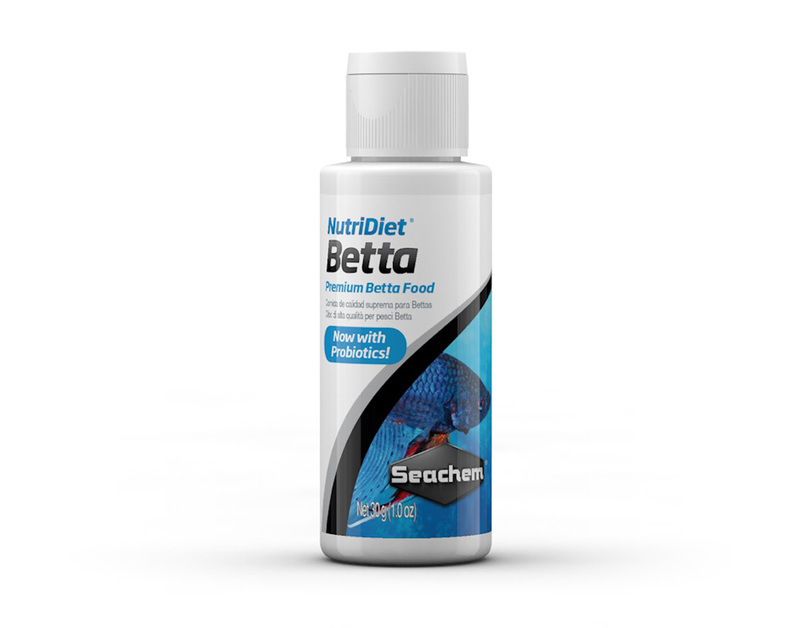 NutriDiet® Betta also contains probiotics, which reduce waste, benefit nutrient uptake and support the immune system.